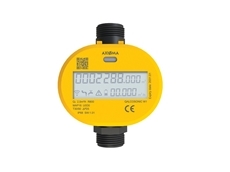 AMS Water Metering will be exhibiting their range of smart water meters from Axioma Metering at OZWATER19. 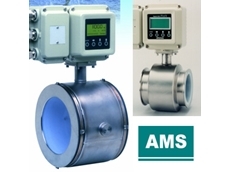 AMS Instrumentation and Calibration has introduced a new thermal mass flow meter designed to provide accurate measurement of solid waste landfill gas flow. 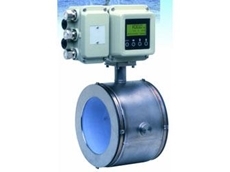 AMS Instrumentation and Calibration introduces the new VeriCal system for FCI ST100 Series thermal mass flow meters designed to improve performance and reduce maintenance at offshore platforms and various hard to access production environments. Production and refinery engineers responsible for measuring, monitoring and flaring waste gas will find that the advanced ST100 Series thermal mass flow meter from Fluid Components International (FCI) with FCI’s VeriCal in-situ calibration verification system combines precise air/gas measurement capability with the convenience of in-situ calibration verification. The ST100 flow meter with the VeriCal in-situ calibration system is compliant with the US Minerals Management Service (MMS) mandate per final rule, 30 CFR Part 250, Subpart K, Section 250, stipulating that all domestic US offshore rigs processing more than an average of 2000 bopd must install flare/vent gas flow meters. These regulations are intended to protect the environment through the monitoring of greenhouse gases (GHG). Flow meters previously had to endure the cost and hassle of being pulled from the process, returned to the manufacturer or a calibration lab for testing and then shipped back for re-installation. 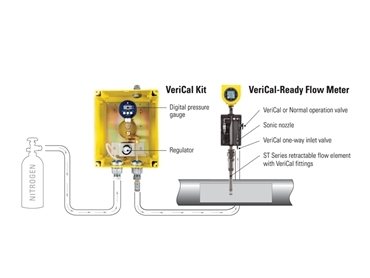 Validating flow meter calibration to meet regulatory requirements is no longer labour-intensive, costly or challenging with the VeriCal in-situ calibration system, which verifies flow meter calibration in minutes without removing the meter from the pipe or process. 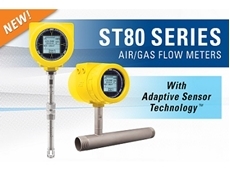 The ST100 Series flow meters set a new industry benchmark in process and plant air/gas flow measurement, offering feature-rich and function-rich electronics as well as excellent adaptability and value to meet plant gas flow measurement applications for now and the future. The ST100 meets diverse needs from 4-20 mA analogue, frequency/pulse and alarm relays to digital bus communications such as HART, Fieldbus, Profibus or Modbus. Should a plant’s needs change over time, the ST100 flow meter adapts as necessary with a plug-in card replacement that can be changed out by plant technicians in the field. 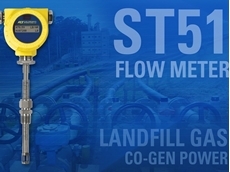 Designed for rugged industrial processes and plants, the comprehensive ST100 Series is comprised of two core model families: ST flow meters measure both mass flow and temperature, while the exclusive STP family adds a third parameter, pressure, making the ST100 the world’s first triple-variable thermal flow meter. Both families include single-point and dual-element models as configurations. 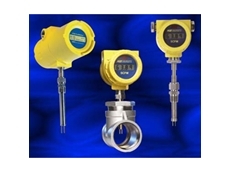 Key features of the ST100 flow meters include unique graphical, multivariable, backlit LCD display/readout offering continuous display of all process measurements and alarm status, and the ability to interrogate for service diagnostics; ability to store up to five unique calibration groups to accommodate broad flow ranges, and differing mixtures of gases; on-board data logger with easily accessible, removable 2GB micro-SD memory card capable of storing 21 million readings; allowing calibration to measure virtually any process gas, including wet gas, mixed gases and dirty gases; and thermal flow sensing element measuring flow from 0.07 NMPS to 305 NMPS with accuracy of ±0.75 per cent of reading, ±0.5 per cent of full scale. Designed for rugged industrial processes and plants, ST100 flow meters include service up to 454°C and are available with both integral and remote 300m electronic versions. The ST100 is agency approved for hazardous environments, including the entire instrument, the transmitter and the rugged NEMA 4X/IP67 rated enclosure. Instrument approvals in addition to SIL-1 include ATEX, IECEx, FM and FMc.